Like many other wine producing countries Italy has a system of laws for classifying wines, supposedly to protect and help consumers choosing their wine. For most consumers though it just adds another layer of complexity to the task of choosing an Italian wine. In practice the system, particularly in the lower levels, does not work well. Political interference, sloppy enforcement and blatant disregard for the rules have undermined credibility of the system. DOCG - Denominazione di Origine Controllata e Garantita is Italy's system of recognising and rewarding quality wines. There are about sixty DOCG wines, supposedly the best wines Italy has to offer. There are strict conditions in the DOCG rules relating to the origin of the grapes, the varieties, the methods that can be used, the maximum yield and the location and production method of vinification. Access to this appellation is strictly limited. Only about 60 wines have been awarded DOCG status. The rules (and compliance) for other appellations are less stringent, but this part of the system has some credibility. 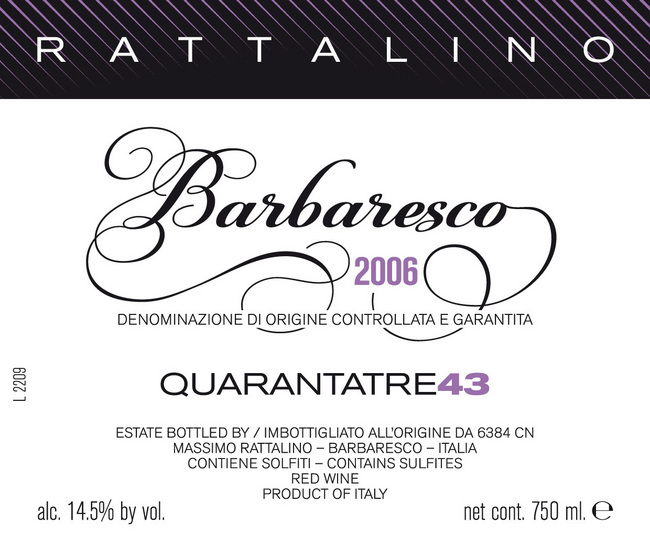 Image below is of a label of a wine from the Barbaresco DOC in Piedmont. Find out where you can get this wine by using this search engine. The next level is DOC = Denominazione di Origine Controllata. There are about 300 wines falling into this category and they are supposedly better than the IGT wines. They are made with grapes grown within the designated region, and according to that DOC's rules about the grape varieties used, the location of vinification, the yield of the grapes per hectare, and sometimes the minimum age before the wine is released. 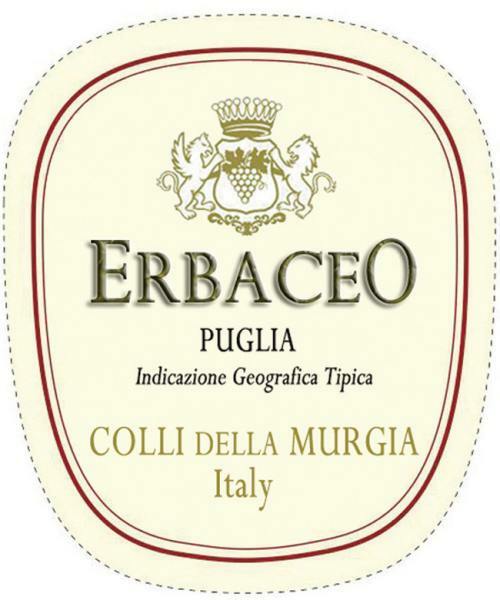 Below is an image of a label of a red wine from the Etna DOC. See this search engine for details on how to find some Etna wines. This group covers wines from specific regions or zones but do not qualify for inclusion in the above, in other words only the region of origin is specified. However IGT wines frequently have the name of the grape variety used on the label. Sometimes there is an IGT for the whole of a region as well as for specific zones within the region. For example the Puglia IGT covers the whole region, but specific zones in the Puglia - namely Daunia, Murgia, Salentino, Tarantino and Val d'Itria - have their own IGT status. VdT = Vino da Tavola is wine made from grapes grown anywhere in Italy, often a blend of grapes of different varieties or from several regions, in other words those wines that do not fall into any of the classes above. There are two different types of wine produced under the VdT class. Firstly it is the classification for many inexpensive everyday drinking wines. You are most likely to meet these wines poured directly from a barrel in a neighborhood restaurant or trattoria. 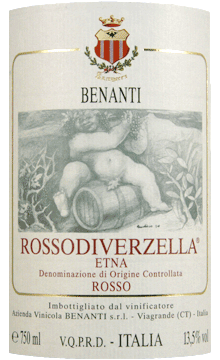 The second, smaller, group of VdT wines are those of very high quality, but are not eligible for inclusion in the DOCG or DOC class because they use production methods or varieties not permitted by the rules. The so called Super Tuscans originally fell into this category because they were made with Cabernet Sauvignon in the blend. Innovative winemakers who break the rules to make new styles use the VdT class for the best and most expensive wines that they have. So what does all this mean for the consumer? Rather than simplifying your task of choosing a wine these classifications can be just a distraction, at least until you gain a lot of experience with Italian wines. I think the best use of the system for beginners and those with intermediate knowledge of Italian wine is to use it to focus on the style of wine under the label, rather than the brand name. You find that you like one particular DOC or DOCG, for example Chianti Classsico DOCG and you therefore expect those wines to conform to a particular style, but don't expect the wines to taste exactly the same, or to be all of the same quality.